Lately many games that embrace former genres that had fallen to the wayside are making a comeback. As a result lots of games press and developer media contacts like to coin phrases that are based on gameplay styles not many are familiar with. When someone tells you that Tokyo Jungle is a “roguelike” or that Guacamelee is a “MetroidVania” title, it’s entirely possible you have no idea what that means. After this article, you will no longer have that problem. 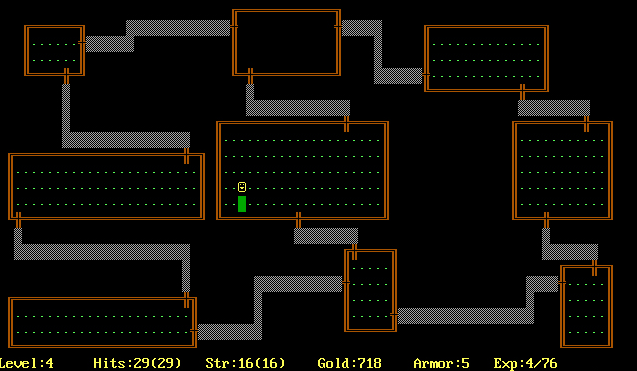 You may or may not know that the roots of the roguelike come from a 1980 computer game called Rogue, which established the dungeon crawler. This game was considered genre-changing when compared to the slower paced text adventures such as Zork and Dungeons & Dragons video game ports like Wizardry and Ultima. Developers Michael Toy, Glenn Wichman, Ken Arnold, and Jon Lane site a hybrid between both types with influences from D&D as well as the text adventure Colossal Cave Adventure, which featured a detailed description of a cave system in Kentucky that was so precise it was used by a tourist to navigate parts of the actual caves it was based on. The result was a game where an adventurer explored a multi-floored dungeon, collecting items and facing enemies, in search of a final artifact (in this case the “Amulet of Yendor”) to complete the game. Each floor was more difficult than the last, you could not backtrack to a previous floor, and if you died you got a game over, simple as that. Additionally the layout of the dungeon, items, and enemies were all randomly generated, which meant you would ideally never play the same game twice. Despite the fact that you would have to start over, the experience of playing the game assisted you in handling enemies, utilizing items, and preparing for future encounters as such that you could eventually beat the game. Needless to say the game had a tough barrier for entry and popularized itself mostly on Unix systems in colleges across the country, but the public found it too complex and difficult.